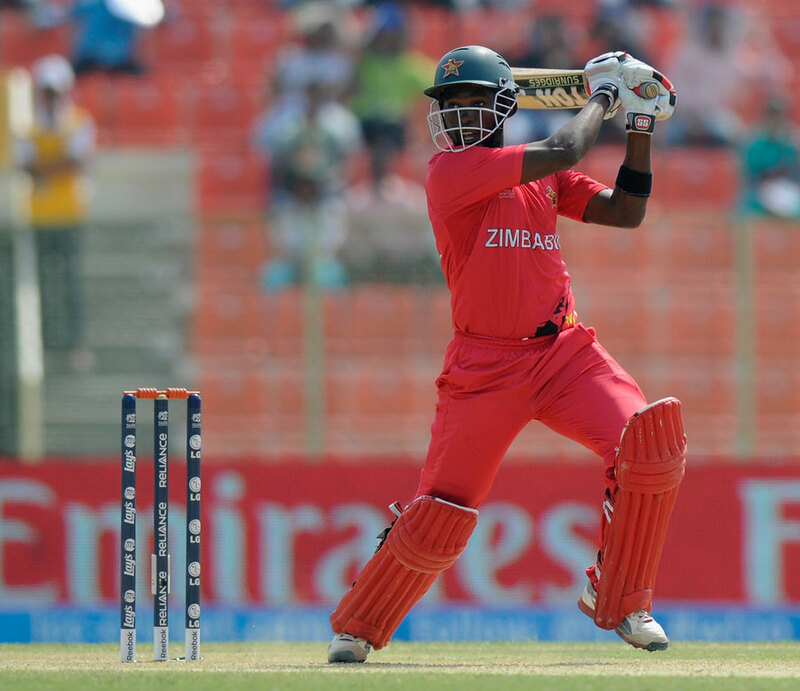 11th Match Of ICC T20 World Cup 2014 Group B Qualifying Match (United Arab Emirates vs Zimbabwe): Eleventh match of International Twenty20 World Cup Cricket 2014 is held between Zimbabwe and United Arab Emirates on 21st March 2014. This is a qualifying match for group-B. Zimbabwe won by 5 wickets with 38 balls remaining. Elton Chigumbura (Zimbabwe) is declared as man of the match. He scored an unbeaten 53* runs in 21 balls at the strike rate of 252.38 with the help of 6 fours and 3 sixes. Zimbabwe vs United Arab Emirates: Zimbabwe won the toss and choose to bowl first. United Arab Emirates scored 116 runs 9 wickets in 20 overs. Zimbabwe scored 118 runs 5 wickets in 13.4 overs. Thus Zimbabwe won the 11th Match (Qualifying Match For Group B) of Twenty20 World Cup 2014 by 5 wickets with 38 balls remaining. Result: Zimbabwe Won By 5 Wickets With 38 Balls Remaining.